We welcome visitors of all ages to visit Campbell’s Gold Honey Farm & Meadery and enjoy an educational tour on our farm. We are a small family, however, so please ensure that you book well ahead of time. We are only able to provide tours for groups of five or more at this time. Also, as we are committed to providing the best possible experience for our visitors, tours involving visiting live beehives are not always available. Contact us for more details. Any group is welcome to bring a lunch and have it at the farm. We have a large loft but there is no elevator so although it can seat up to 148, some find the stairs difficult to navigate. We can set up tables and chairs outside either under cover or in the prayer garden, in the sun, as interest and weather permit. We offer educational tours for groups of 5 or more throughout the year but encourage these to take place from May to August when we are able to take the group to see the live hives. Those participating in the general tours receive a jar full of delicious honey to take away with them following the tour. At the very beginning of our tour we talk about bee stings and compare them to wasp stings and emphasize that it is usually wasp stings that folks confuse with bee stings. 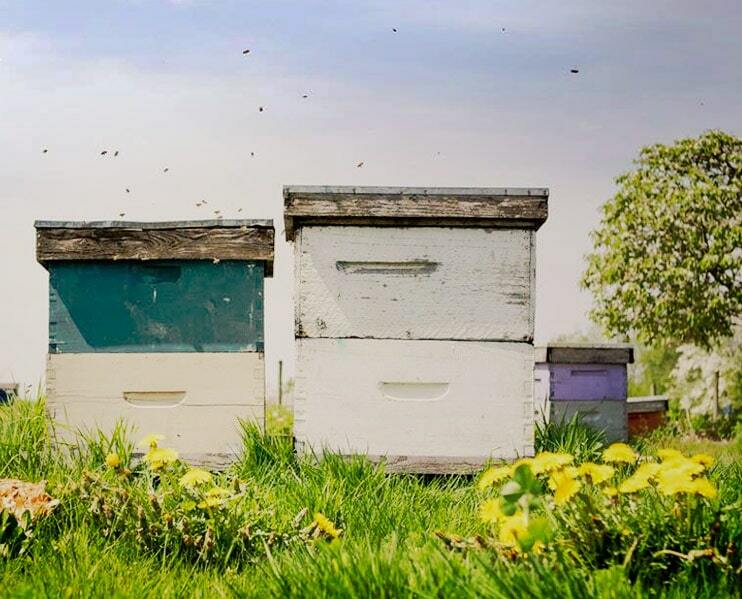 The beehive – We talk about the history of the bee hive, compare the bee hive to their homes (similarities and differences), and can give them hands on with putting a bee frame together (optional) to include in the beehive. Bee biology/anatomy, bee life cycle, bee communication (including the bee dance at the end of the tour). During the summer season we normally have an observation hive with lives bees under glass, as well as use a microscope and magnifying glass to look close up at dead bees/wasps. 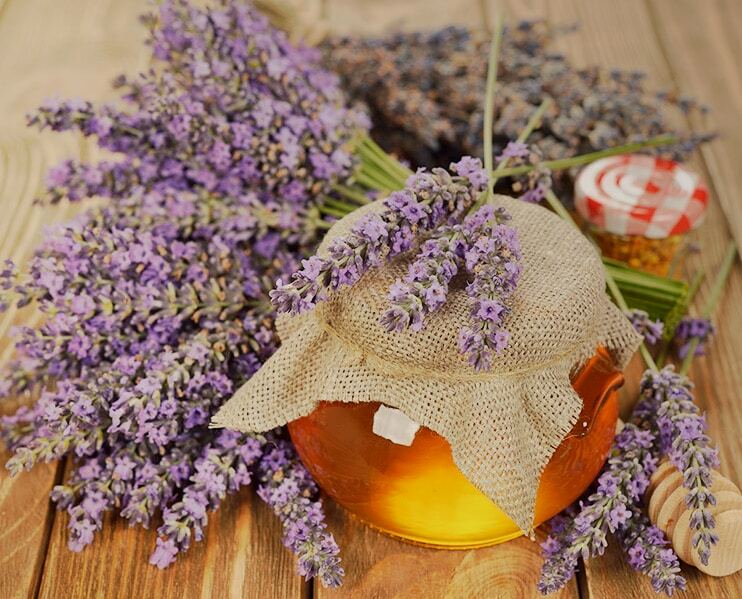 We talk about honey, propolis, royal jelly, beeswax, and the types of products that come from a bee hive. We let them see and taste various types of honey, and handle beeswax, and see what kinds of products are made from the beehive. Following the above, then we will go to the live bee hives and return for the bee dance and talk about bee communication. Travel to the live hive is only between May to August and this is weather dependent. We don’t do this if it is raining or too cold. Adults may not wish to do the bee dance, but we encourage them to play with this. * Tour hours and availability can vary from time to time. Please contact us to determine a day and time that suits your preferences. Our tours book up quickly in spring and summer as we are busy beekeeping and gardening for our bees as well as offering classes and workshops or attending many prearranged weekend farmer’s markets and special events. If you would like to book a tour in the fall, weekends become available once again, however, travel to the live hives is not part of the formal tour. Bee behaviour changes dramatically when the weather cools and it is detrimental to their health and welfare to open their hives when it’s cold and/or wet outside. No matter what time of year it is, bees work to keep the inside of the hive a constant 29- 30 degrees. Please note that we are happy to do bookings for day camps throughout the summer. We do a modified version of our regular educational tours to meet the needs of each camp at our regular fee. We recommend that anyone attending not wear any perfume or hair spray or highly scented deodorant or creams. We have never had a problem with anyone being stung, but scents can confuse the bees and encourage them to buzz around the highly scented individual, a bit more than they would if there was no scent. Bees also don’t like things that are really shiny or the smell of bananas. If you require any further information, please do not hesitate to contact Judy! We are thrilled to share our knowledge and love of bees and the environment with the next generation! As such, we are delighted to welcome school groups to our farm. We start in plenary for a general discussion and then depending on the size of the group, may divide into sub-groups and cover the following in 2 to 3 rotating stations. The beehive – We explore the history of the bee hive, compare the bee hive to students’ homes (similarities and differences), and can give them a hands on experience putting a bee frame together to include in the beehive. Bee biology/anatomy, bee life cycle, bee communication (including the bee dance at the end of the session). Use of a demonstration hive with bees under glass will be used from May to August. Depending on the age of the students, we encourage them to see bees and wasps under the microscope. 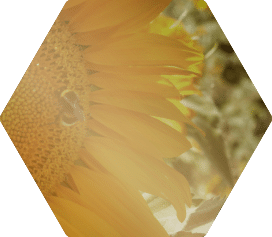 Children and adults go into the store and learn about honey, propolis, royal jelly, beeswax, and the types of products that come from a bee hive. Students see and taste various types of honey, and handle beeswax. Following the above, depending on the age of the group, we can build in time for a snack and bathroom break. The last leg of the experience is a tour to the live bee hives and return for the bee dance and talk about bee communication. If weather is inclement and/or if the tour takes place outside of May to August period, we will not visit the live bee hive and activities will take place in our education room. At the conclusion of the tour, for K to gr 6, we will hand out the activity book/honey straw package for the children, which is part of their tour fee. The best educational bee experiences are when it’s warm and sunny in late spring. 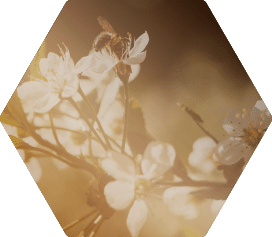 The Canadian Honey Council has lesson plans which teachers may find helpful to review and adapt as required to the learning level of their students. 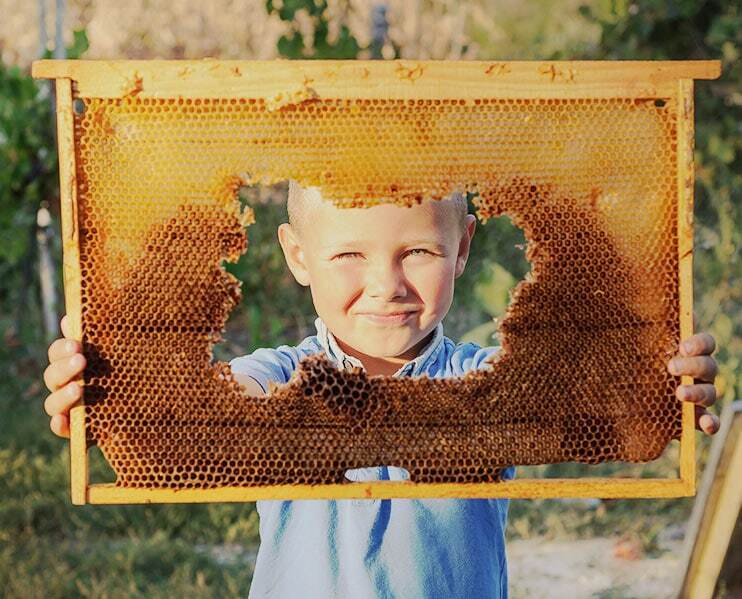 It is always a good idea to expose the children to some form of learning about bees before they come to the honey farm, in order to make their experience more meaningful. The tours are interactive and designed to meet the learning needs of different age groups and class sizes. They are also meant to be fun and games-with-aims are an integral part of our tours. This means that an adequate number of leaders/volunteers are needed to participate and to be available at all times to help monitor and guide behaviour throughout the tour. Please note that respectful behaviour and listening skills are an important part of this farm tour. Name tags are extremely helpful and improve the personalization of the experience. We love for parents and other valued friends and family members to participate and be involved in all the fun. Please keep in mind though that we’d prefer to have your undivided attention in order to give the best possible experience to the children. If you must answer the phone or chat, please move to an area away from the tour as to not distract from the fun. We encourage all tours to check with parents and children to determine if anyone has any known allergies to bee stings. We recommend that anyone attending not wear any perfume or hair spray or highly scented deodorant or creams. We have never had a problem with anyone being stung on a formal tour, but scents can confuse the bees and encourage them to buzz around the highly scented individual a bit more than they would if there was no scent. Bees also don’t like things that are really shiny or the smell of bananas. We have found over the years that the more formal paid tour may be too long for seniors and many may not be interested and/or able to walk out to the field to see a live bee hive. This being the case, we have moved to the shorter experiential educational sessions which are offered at no charge for seniors, in the country store. Should a seniors group wish to have a full educational tour, that can be booked as a General Tour (see information on General Tours). For seniors we do a very general education lasting anywhere from 20 to 30 minutes. We have educational posters and a honey sample table in the store which we use. We also will provide honey wine tastings if there is interest. 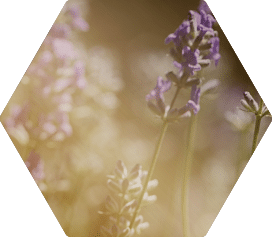 The session includes a brief chat about bees, their value in pollination and then offers tastings of honey and an exploration of other beehive products. We will answer any and all questions. We love hearing from them about their experiences with bees. Many had families that kept bees, or they kept them themselves. Others knew other folks that kept bees. So generally they have some wonderful stories and we love hearing their experiences directly from them. We are happy to do seniors tours any of the 11 months (Feb to Dec) of the year that we are open. We are closed all of January. Some seniors groups prefer to come in the warmer weather when they can walk around outside and have their pictures taken with the flowers. For those tours that come in the summer when the sunflowers are blooming (and if they bring a bucket), we can send the tour back with one bucket of sunflowers (no charge) that they can enjoy for the next week, either in a large bouquet or in smaller bouquets. In September if all goes well, there should still be lots of blooms. Just remind us that you would like some! We recommend that anyone attending not wear any perfume or hair spray or highly scented deodorant or creams. We have never had a problem with anyone being stung on a formal tour, but scents can confuse the bees and encourage them to buzz around the highly scented individual a bit more than they would if there was no scent.